Date: Various dates starting in July. Please check below for specific dates. Girls Code! 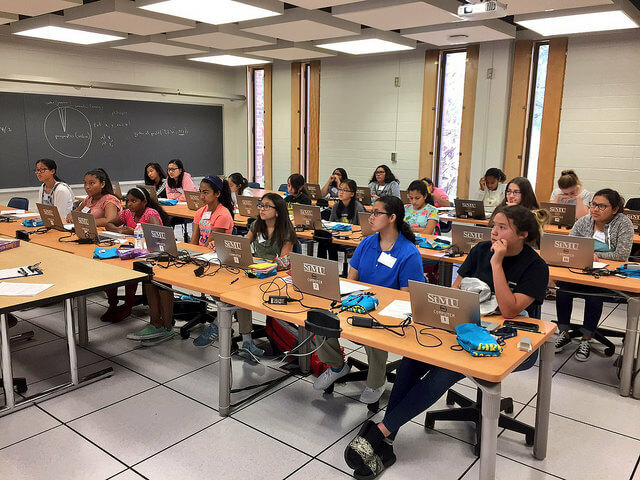 includes eight, one-week camps at St. Mary’s University about coding. The camps, limited to 21 students per camp, are taught by St. Mary’s professors, and are for girls who will be in grades 6-8 in Fall 2019. 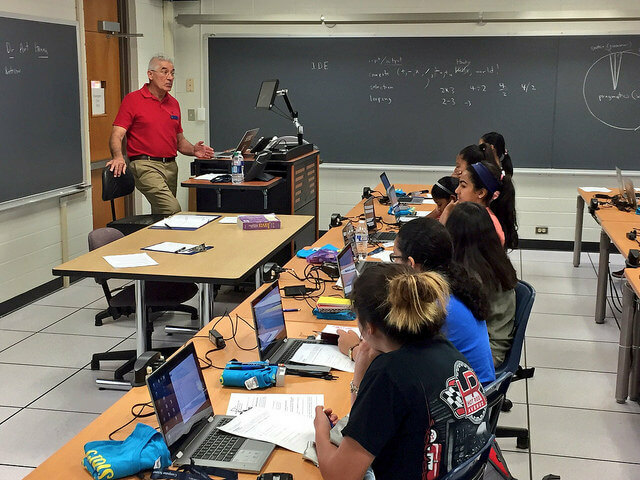 Campers will learn about game development, robotics, cybersecurity, web programming and problem solving. Each camp may have speakers from the computer industry. All camps meet Monday through Friday from 9 a.m. to 5 p.m., with an extra hour on Friday for a showcase. Campers can sign up for as many camps as they want on a first-come, first-served basis. A $50 refunded fee per camp is due to hold a spot. Lunch is included. Participants will explore computational thinking and coding with HTML for webpages and in Python. Participants will design and create simple computer games using GameMaker on a Windows PC. Participants will learn how to build and program robots to perform different operations with Lego Mindstorms EV3. Participants will be introduced to basic computer programming skills that will help them understand basic concepts in cybersecurity and cryptography. The deadline to apply is Friday, May 24.